Nwora is one of the elite three-point shooting forwards in the national class. 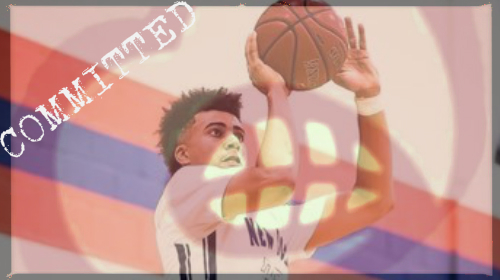 He has a quick and compact release, the ability to make shots in bunches as well as tough shots off his back foot. He shoots it equally well off the catch or the dribble and can surprise you with some bursts of open floor athleticism when he finds himself alone in space. He’s going to have immediate value as a floor spacer, pick-and-pop threat and someone who can run off various other type of screens away from the basketball. -4/16/17 The first thing I noticed about the 2017 recruiting class seeing them up close is how big they are. They have size and it is athletic size. Jordan Nwora the sharp shooting wing is the biggest of the group. Once he gets into Coach Pitino shape along with his versatility there won’t be many weapons better in the NCAA. Malik Williams is the most gifted athlete of the group but Nwora’s upside is crazy. -10/20/16 Coach Pitino has done a great job at meeting his teams needs in this 2017 recruiting class. He has a very good big man committed in Williams, the point guard of the future in Perry, and now has a lights out shooter who can score from all over the floor in Nwora. Nwora’s game has been compared to that of Luke Hancock. Coach Pitino is wanting his teams to return to that run and gun style of play that put Coach Pitino on the map. Nwora will be a weapon that will fit into that style of play very well. I really like how this class has shaped up and think these guys along with the current group will contend for titles. The addition of Nwora give Louisville a top 10 class in 2017. -4/16/17 It didn’t take me long to be in complete awe of Darius Perry’s court presence at the Derby Basketball Classic. This kid has so much moxie and his game is very smooth. He’s got the handles and can create his own offense. Being a smaller guy he’s had to play against bigger kids his whole life. He’s learned to play to his strengths and take advantage of his skill. He had some stop and pop moments on Saturday night that got me out of my seat. Not going to be shocked to see him on the court for extended periods next season. 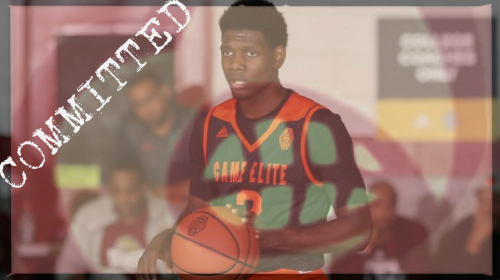 -8/16/16 Coach Pitino and his staff continue their recruiting streak and get their point guard for the class of 2017. Darius Perry can run and offense and can score points. He is a smooth point guard with a crafty jump shot. Perry will fit in nicely with the current sophomore group and I’m looking forward to seeing him and Ryan McMahon on the court together. That would be a tough duo on the perimeter. This class should end up being in the top 10 in the country. DARIUS PERRY- FLICK OF THE WRIST from KANTMISS.COM on Vimeo. -4/16/17 You don’t become a finalist for Mr. Basketball in Indiana unless you are a pretty darn good player. Malik Williams is going to be a really good player. Talk about versatility. This kid can bang down low and can take his game out to 20 feet. He’s got to add some strength and bulk to his frame and once that happens this kid is going to make a lot of money someday. And he is going to help Louisville win a lot of basketball games. -8/4/16 Cardinal Basketball Lands Big Man of the Future: Coach Pitino made Malik Williams a priority of the 2017 recruiting class and today that due diligence paid off with a verbal commit from the Indiana Big Man. By all accounts this is a big-time get for Coach Pitino and his staff. They will now look to build around Williams. -6/23/16 Williams has emerged as a top target for the Cardinals. Thomas is an extra long, athletic, hard playing aggressive power forward that attacks the rim on the break where he finishes above the rim on all clear paths. He and see the ball well for his size and has pretty good touch in and around the lane with comfortable range out to about 15 feet. 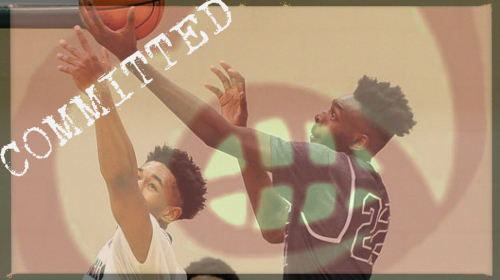 He is a rim level rebounder in and out of his area and a high energy shot blocker. -4/16/17 Lance Thomas is the project of this group. All of these guys will need to add some strength and bulk but Thomas has the most work to do. He’s got a great frame and the foundation of a next level player is there. If he works hard and buys into what Coach Pitino has planned for him he could end up being very successful. We have watched this coaching staff for years be able to go out and find high ceiling guys and Thomas is another one. Thomas is an extra-long, athletic, hard playing aggressive power forward that attacks the rim on the break where he finishes above the rim on all clear paths. He handles the ball well for his size and has pretty good touch in and around the lane with comfortable range out to about 15 feet. He is a rim level rebounder in and out of his area and a high energy shot blocker. He will join what will be an elite front-court that will feature 5* VJ King and 4* Deng Adel for Louisville during the 2017-18 college basketball season. Coach Pitino was quoted at the Tip-Off Luncheon this past week saying “fans don’t like to hear wait till next year, but we are going to be really good in 2018.” There were also a lot of mentions about hanging another banner soon. I’ve always thought that the 2015 Class would win another championship for the University of Louisville. There is a lot of heart, discipline and talent in that group. This 2017 group just assures thought. It has been a really good week for Cardinal Nation both on and off the field. Winning big games and solidifying that the University of Louisville will continue to compete at a high level for years to come. Kudos to all of the coaches and staff for logging the hours and putting in the work to get it done. Go Cards! -10/20/16 Out of all the guys left on the board right now Thomas is the most likely to fill the last scholarship available. That is if Coach Pitino decides to use his last scholarship on a 2017 recruit. He might hold onto the scholarship and possibly give it out to another graduate transfer. We will have to wait and see here. Thomas has his official visit to Louisville this weekend and things should become more clear in the weeks ahead. We are less than three weeks from the early signing period. -2017 DERBY BASKETBALL CLASSIC: The Louisville signees didn’t have the type of all-star performances that they had hoped for in their Louisville debut at the Derby Basketball Classic. But this is still a very impressive group. Darius Perry led the way Saturday night with 22 points, 1 assist, and 1 steal. Followed by Jordan Nwora (7 points and 7 rebounds), Lance Thomas (5 points, 5 rebounds & 1 blocked shot), and Malik Williams (3 points, 4 rebounds & 1 blocked shot). The first thing I noticed about the 2017 recruiting class seeing them up close is how big they are. They have size and it is athletic size. Jordan Nwora the sharp shooting wing is the biggest of the group. Once he gets into Coach Pitino shape along with his versatility there won’t be many weapons better in the NCAA. Malik Williams is the most gifted athlete of the group but Nwora’s upside is crazy. 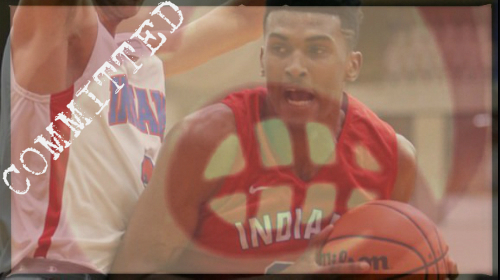 You don’t become a finalist for Mr. Basketball in Indiana unless you are a pretty darn good player. Malik Williams is going to be a really good player. Talk about versatility. This kid can bang down low and can take his game out to 20 feet. He’s got to add some strength and bulk to his frame and once that happens this kid is going to make a lot of money someday. And he is going to help Louisville win a lot of basketball games. It didn’t take me long to be in complete awe of Darius Perry’s court presence. This kid has so much moxie and his game is very smooth. He’s got the handles and can create his own offense. Being a smaller guy he’s had to play against bigger kids his whole life. He’s learned to play to his strengths and take advantage of his skill. He had some stop and pop moments on Saturday night that got me out of my seat. Not going to be shocked to see him on the court for extended periods next season. Lance Thomas is the project of this group. All of these guys will need to add some strength and bulk but Thomas has the most work to do. He’s got a great frame and the foundation of a next level player is there. If he works hard and buys into what Coach Pitino has planned for him he could end up being very successful. I was really excited after watching the 2015 guys play in the Derby Basketball Classic. This 2017 group made me feel the same way. So much upside and promise. I think Coach Pitino and his staff really outdid themselves. Looking forward to seeing how this group will fit in and what they will add to an already loaded team.